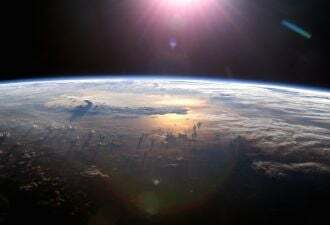 VC investment in green technologies totaled more than $836.1 million in 59 deals in the first quarter of 2009, writes GTM Research's Eric Wesoff. You don't hear that word, "optimism," much lately so I'd like to put it out there. Reputations to the contrary, VCs have to be resolute optimists – making audacious bets on emerging technologies, in emerging markets, with no current customers. One needs high levels of knowledge, hope and testicular fortitude. We just released the most recent quarterly data showing that venture capital investment in green technologies totaled more than $836.1 million in 59 deals in the first quarter of 2009. The numbers are approximately back to 2007 levels. I use the term "more than" because there are a number of undisclosed deals that take the number closer to a billion dollars for the quarter. 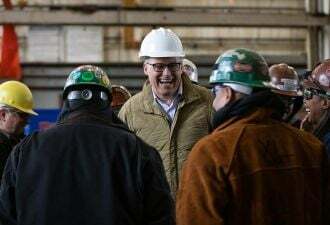 Ira Ehrenpreis, General Partner at greentech investment firm, Technology Partners, remarked: "It's important to put these numbers in perspective. The $800 million of investment this quarter is more capital than has been invested annually for most of the years that we've been investing in the cleantech sector. We still see a lot of money flowing into the sector, but investors are getting more discerning and are concentrating investments into the best companies." "Greentech VC investing declined year-over-year, not surprising given the economy," said John Doerr, partner at Kleiner Perkins. "Still, greentech could be the largest economic opportunity of the 21st century. This level of green VC investment is not enough." Erik Straser, a partner at Mohr Davidow Ventures adds: "Cleantech enjoys favorable tailwinds even in this challenging time. In the first quarter, quality companies continue to raise capital albeit with longer fundraising processes and through the Stimulus Plan we see a potent program of incentives and loan guarantees to accelerate adoption of these critical 21st century technologies." 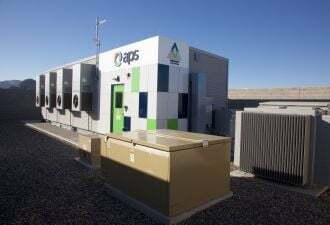 Solar continues to be the leading sector in terms of dollars and deals at $356.6 million in 14 deals, followed by energy storage with $121.5 million, and biofuels with $94.15 million. Surprisingly – smart grid and energy-efficiency investments have not jumped we predicted, but as the billions of dollars of stimulus funding for the smart grid percolates into the market, we expect an uptick in this sector. At least 14 of the 59 deals in the first quarter of 2009 were early stage, either seed or Round A. Round A and seed investments dominated the automotive and transportation sectors, with seven of the nine rounds being early stage. 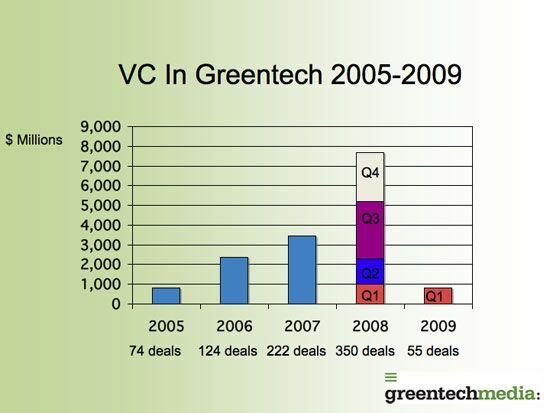 2009 will be a year of consolidation and development while 2010 and 2011 will be the year greentech breaks. Expect to see IPOs and acquisitions of VC-funded firms in solar, smart grid and biofuels. All in all, a good start to the year. Details on these figures can be found in the Greentech Innovations Report.